Singlish Living: So many emotions. 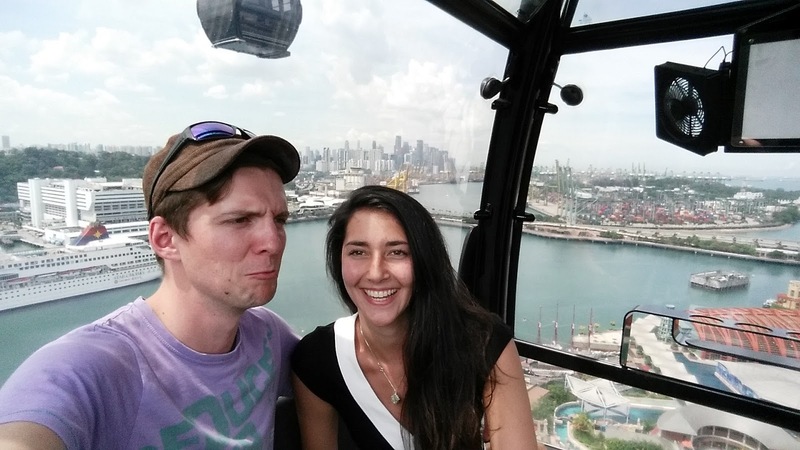 Day 12 in Singapore was a real roller coaster. I had an interview for an events role at an international school at midday, so I spent the morning prepping and getting nervous for that. I think the interview went alright but got the impression they had already filled the role so left feeling a little disappointed. I'm not sure when I'll hear back but my hopes aren't high. Phil had asked me to pack a bag the night before with something smart, something casual and swim wear and to meet him at the cable car to Sentosa Island after my interview. Needless to say, as soon as I had left the interview I was buzzing for what the rest of the day had in store! We got the cable car over to Sentosa and spent a good chunk of the afternoon being big-kids.. whizzing along the 450m MegaZip wire, racing each other on the Luge and showing off on the flying trapeze. 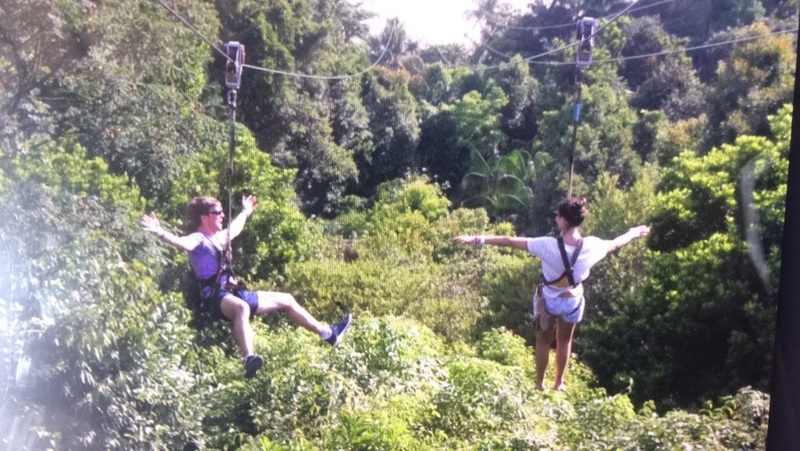 Sentosa really is just one massive playground. They also have a Universal Studios and waterpark there too which might be something we pop back to do another time. 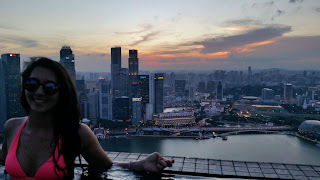 As dusk neared Phil said we had to go as had somewhere to be which he had arranged as a surprise... so we hopped into a cab and Phil asked the driver to take us to... wait for it... Marina Bay Sands Hotel. WTactualF. 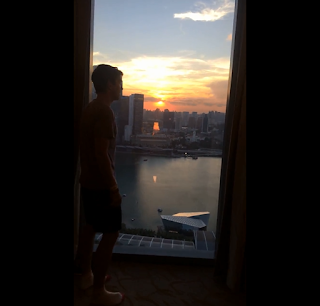 We checked into our room on the 38th floor, and, as we entered the room, the curtains opened to reveal the most spectacular sunset over the city. 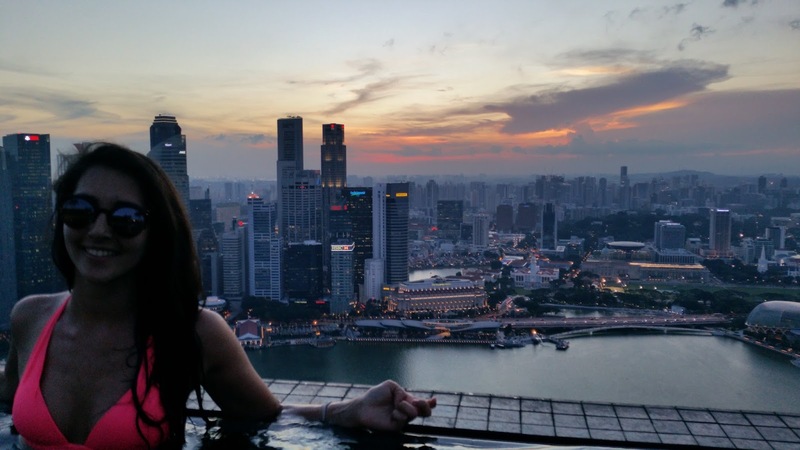 We headed up to the infinity pool on the 57th floor and basked in the beauty of it all as the sun set and the city lights came alive. Once our fingers were sufficiently prune-like we spruced up and had dinner at Wolfgang Puck's Spago restaurant at Sands SkyPark where we got suitably drunk on Sancerre and Martinis. It really was crazy day. 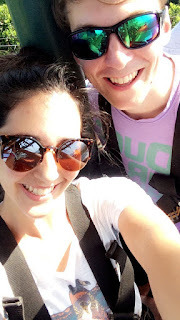 The nerves of the interview, the excitement of moving to a new country and getting a home together, the adrenaline rush on Sentosa and the pure joy and awe of staying at Marina Bay Sands Hotel. A day neither of us will never forget for sure.